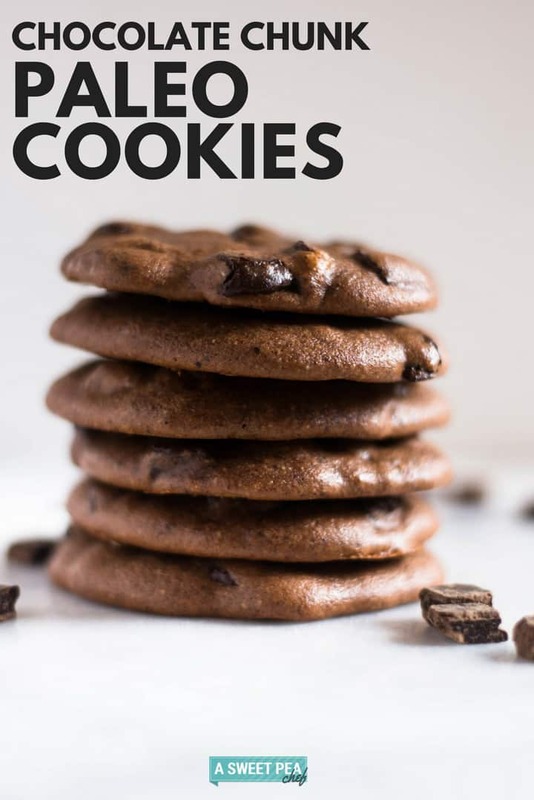 Enjoy these 4 different ways to make irresistible protein paleo cookies using paleo baking flour for some cookie baking magic. This post is sponsored by Bob’s Red Mill. I think we all can agree there’s something special about cookies. 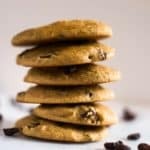 Whether it’s because they’re sweet and handheld or they remind us of our youth, enjoying a freshly baked cookie is one of life’s great treasures. 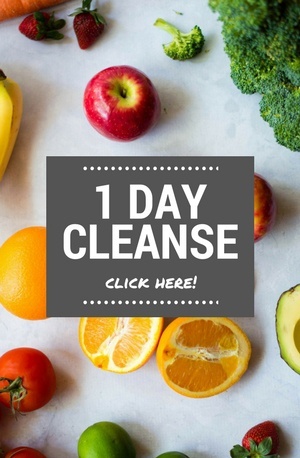 BUT what about maintaining a healthy lifestyle? 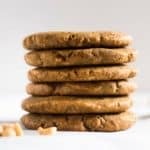 Is it possible to eat cookies and still follow the “rules” so you don’t fall off the wagon? YES! 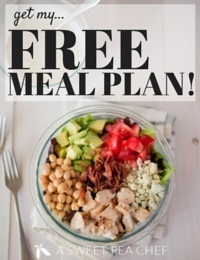 The best way, I’ve found, to enjoy your healthy lifestyle is to have these tasty treats built in — whether they’re sweet or savory. Just because you’re going to enjoy a sweet treat doesn’t mean you don’t want to use the best ingredients you can, right? Part of eating well is to choose the very best ingredients so you take care of your body and your tastebuds. 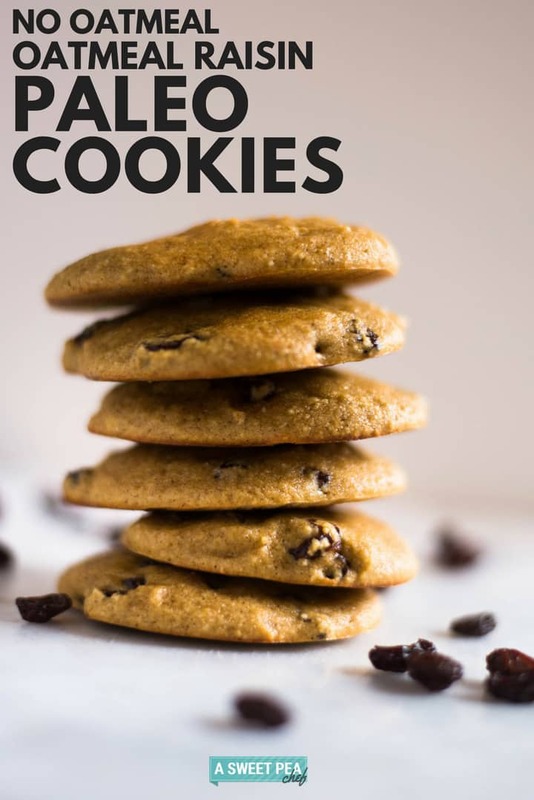 And, yes, I totally just explained all of this so I could introduce to you 4 very amazing, very sweet-tastic paleo cookies to do just that: enjoy! 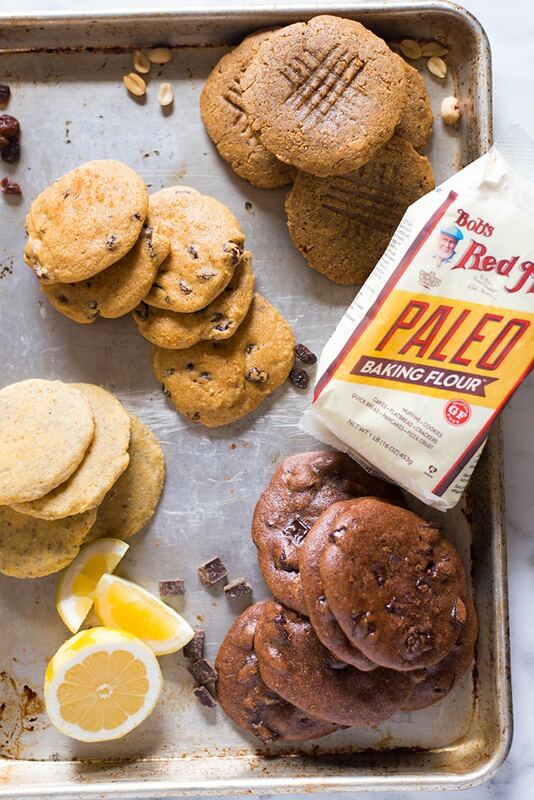 You might be surprised at how easy it is to make paleo cookies. 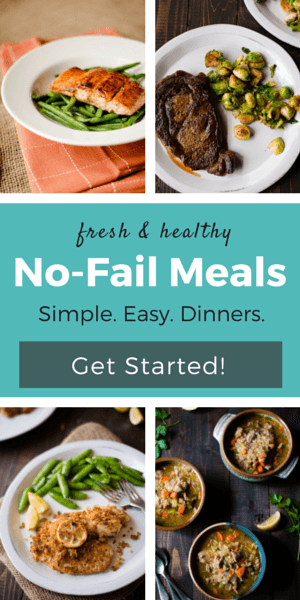 Like clean eating, paleo recipes don’t allow for any processed ingredients. That means no refined sugar or flour. 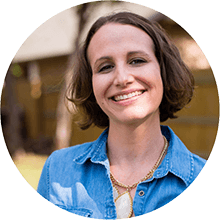 The main difference between clean eating and paleo, however, is that paleo doesn’t allow for any grains, either. So, if a clean eating recipe calls for whole wheat pastry flour, for example, that would work for a paleo recipe. 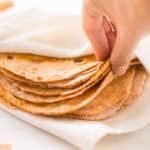 Remembering which flours to use and what amount of liquid ratios can get a little tricky, which is why I like using Bob’s Red Mill paleo baking flour because it’s an awesome blend of several paleo flours and makes paleo baking super easy. 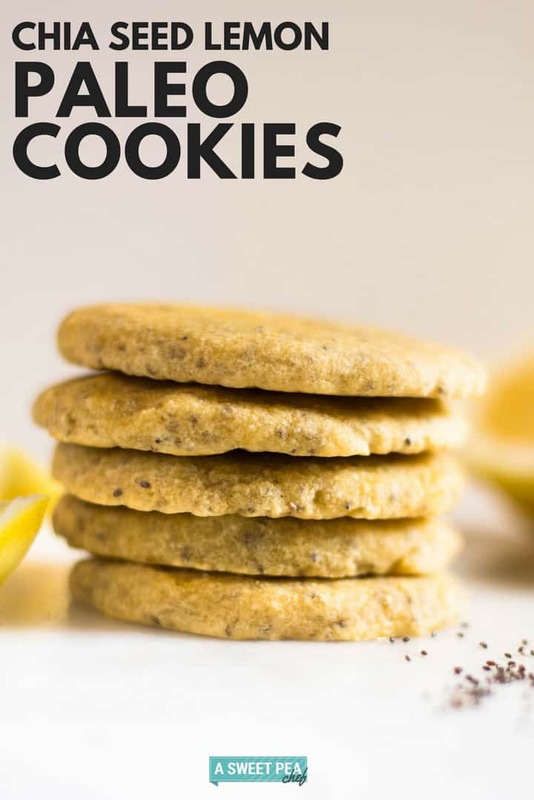 Paleo cookies are definitely a healthy option if you’re trying to follow a clean eating lifestyle and you’d like to avoid processed foods. 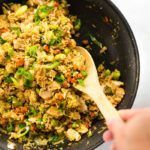 Paleo takes clean eating a step further by removing any grains, meaning no oats or wheat, which can be necessary for those looking to avoid gluten, too. 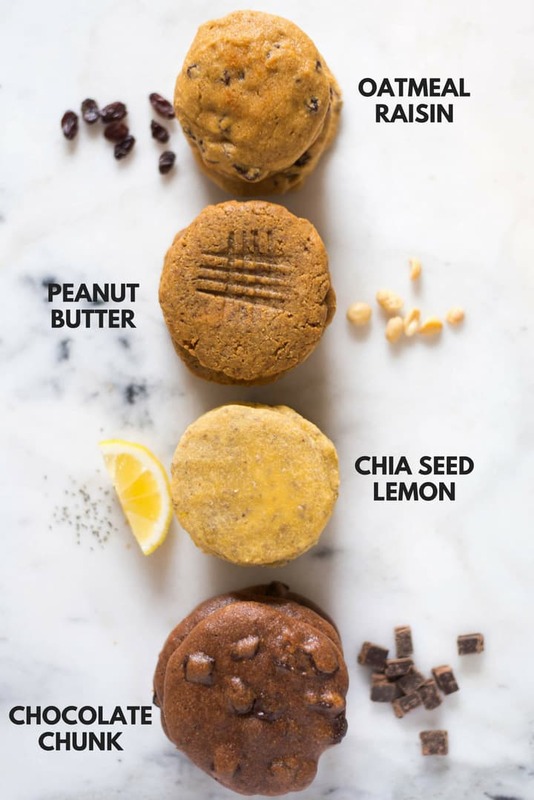 My favorite ways to include protein into paleo cookies is to use chia seeds, eggs, and nut butters – particularly peanut butter and almond butter, all of which are used in the recipes below. 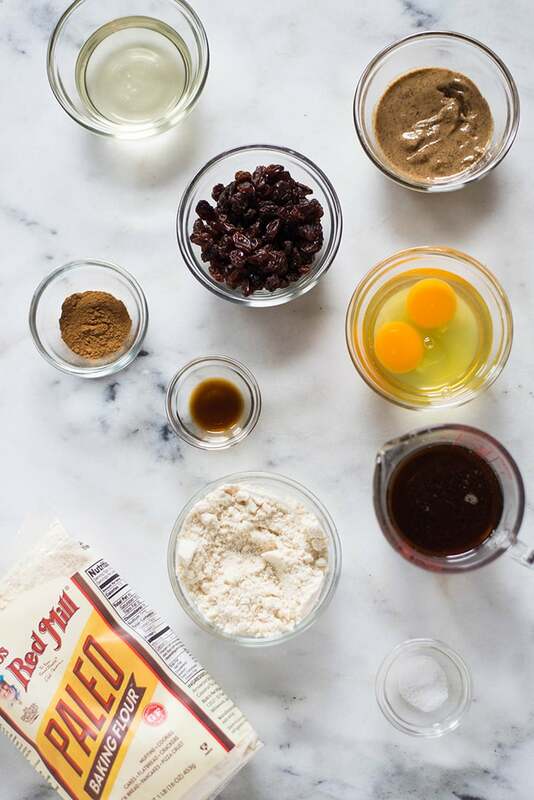 Adding protein to cookies is a great way to make them a well-balanced sweet treat you can feel good about. 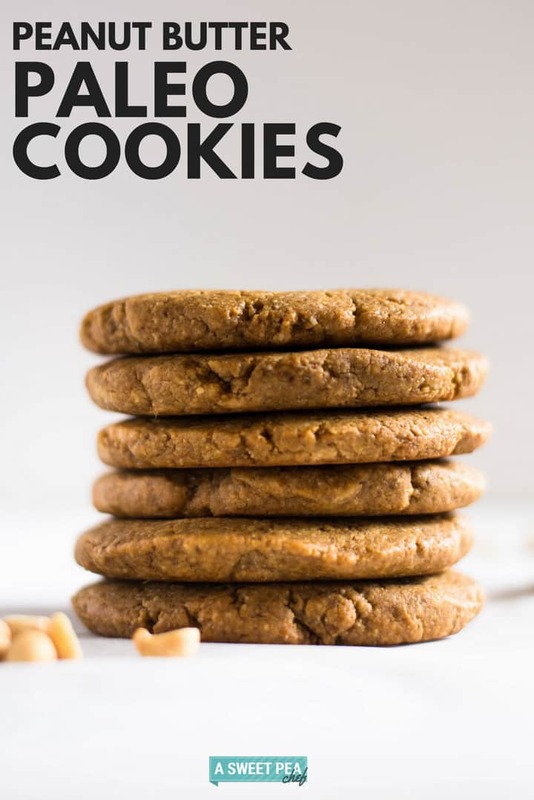 You're gonna love these four ingredient peanut butter paleo cookies! Start by preheating your oven to 350 degrees F and lining a cookie sheet with parchment paper and then set it aside. In a large bowl, add peanut butter, coconut sugar, Bob’s Red Mill paleo flour, and a couple eggs. Stir together until fully incorporated. Now, scoop out about 2 tablespoons of the batter and roll it into a ball using your hands. 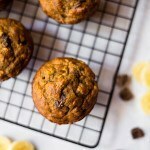 You may need to wet your hands with a few drops of water to keep the batter from sticking. Transfer the cookie sheet into the oven and bake for 8-10 minutes, or until the edges of the cookies just slightly start to turn brown. 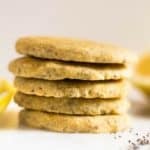 These Chia Seed Lemon Paleo Cookies are chewy, lemony, and full of tart goodness. 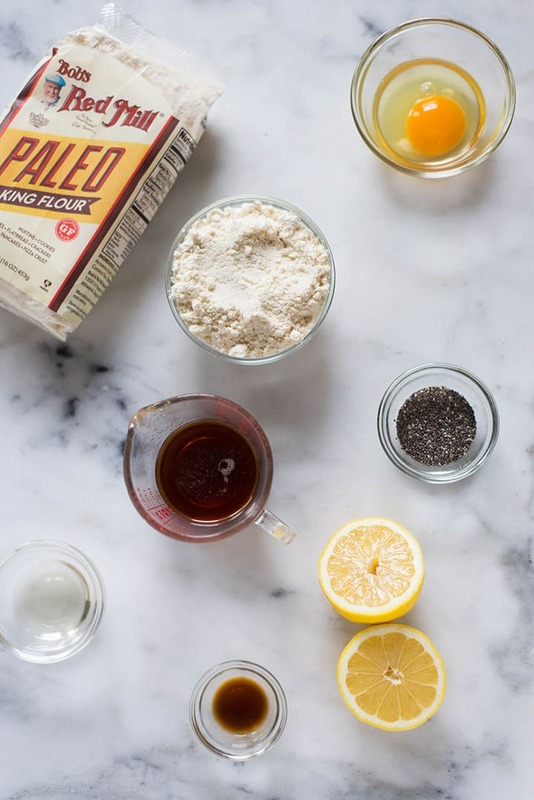 In a large bowl, add our Bob’s Red Mill paleo baking flour, lemon juice, lemon zest, chia seeds, coconut oil, eggs, vanilla extract, and pure maple syrup. Stir together until fully incorporated. Now, scoop out about 2 tablespoons of the batter and transfer to the cookie sheet. Shape the dough into a round cookie, using water to help keep it from sticking to your hands, as needed. 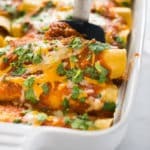 Place the cookie sheet into the oven and bake for 8-10 minutes, or until the edges of the cookies just slightly start to turn brown. 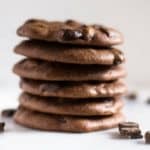 These chocolate chunk paleo cookies are rich and loaded with chocolate and protein. 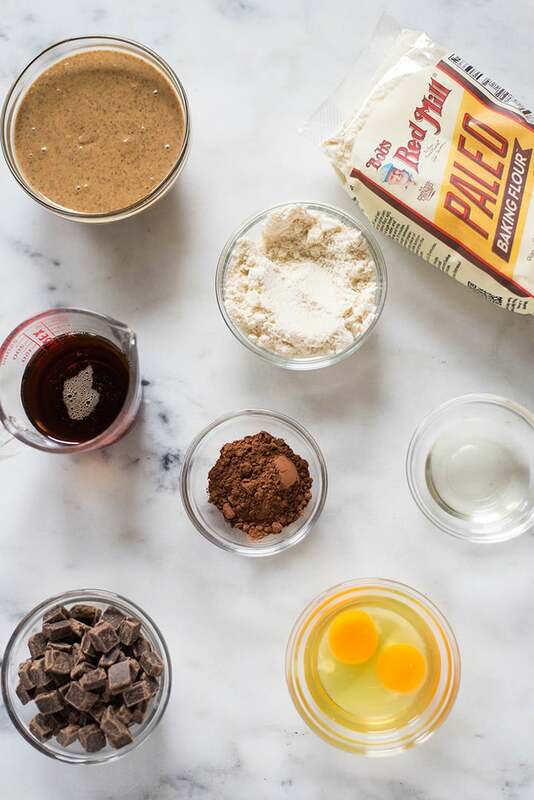 In a large bowl, add the almond butter, cocoa powder, Bob’s Red Mill paleo baking flour, pure maple syrup, coconut oil, and eggs. Stir together until fully incorporated, then add in the dark chocolate chunks or chips, and fold into the batter. Shape the dough into a cookie, using water to help keep it from sticking to your hands, as needed. These Oatmeal Raisin Paleo Cookies contain no oats but taste just like a real oatmeal raisin cookie! 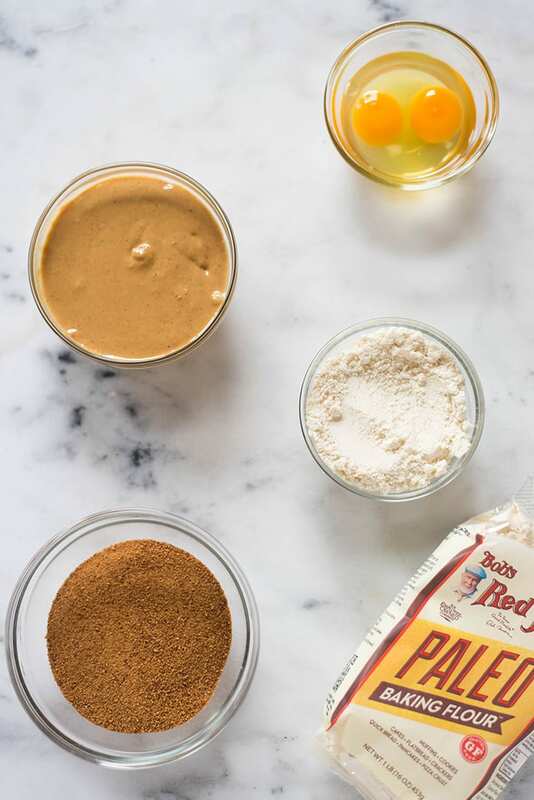 In a large bowl, add our Bob’s Red Mill paleo baking flour, sea salt, ground cinnamon, eggs, pure maple syrup, and vanilla extract, and stir to combine. Stir together until fully incorporated, then add in the raisins, and fold into the batter. 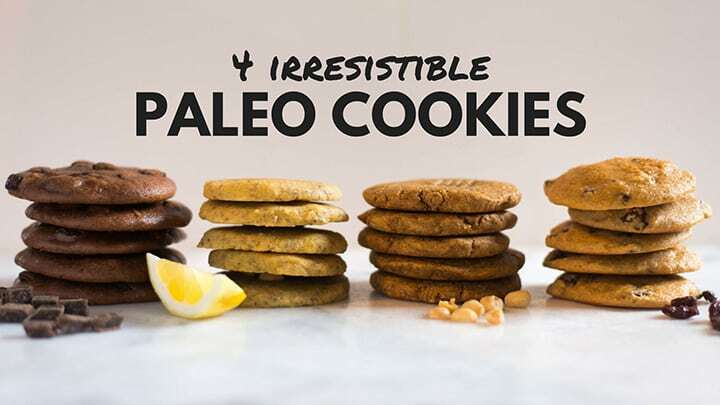 So the big questions is which paleo cookie would YOU choose? This post is sponsored by Bob’s Red Mill. 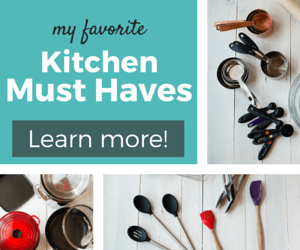 This post contains affiliate links for products I use regularly and highly recommend. I tried making the lemon chia seed cookies and they stayed in balls and never spread or anything… dry and crumbly. Any suggestions of what I did wrong? Thanks!